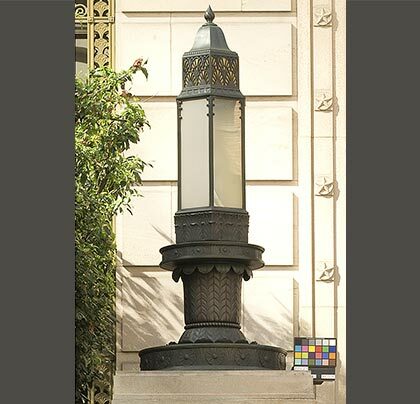 The goal of the treatment was to restore the lamps to a condition consistent with the well maintained historic building. 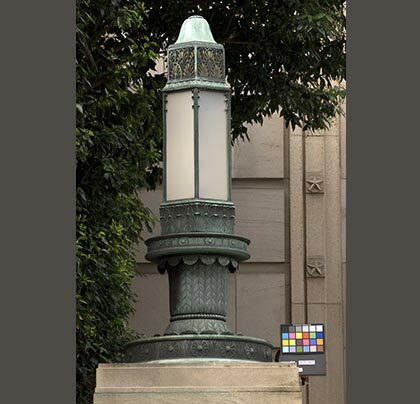 The bronze lamp was washed with a non-ionic surfactant and the surfaces was coated with a durable wax. Missing parts, such as the finial, were recast in bronze to match the original.